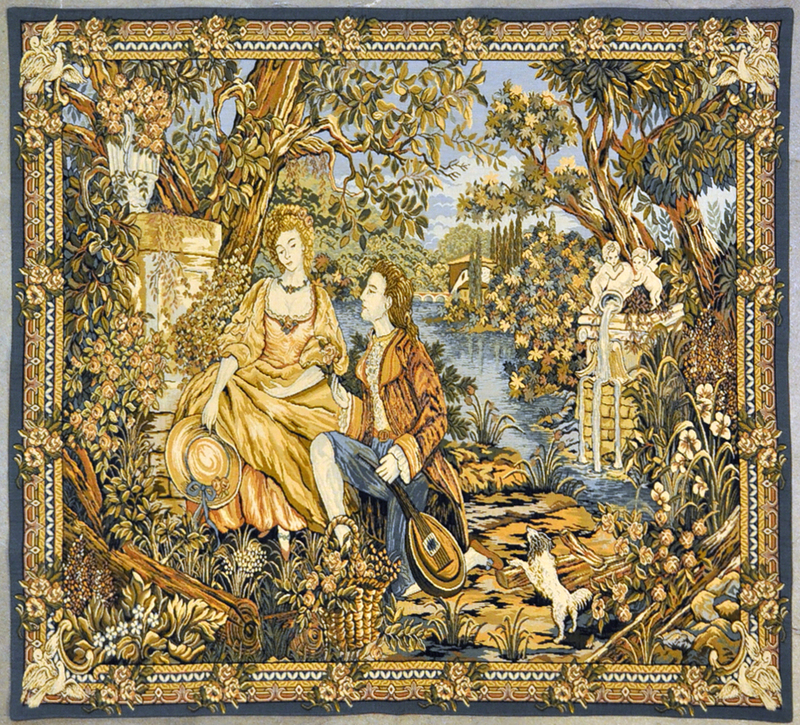 This beautiful scene was hand crafted by needlepoint. 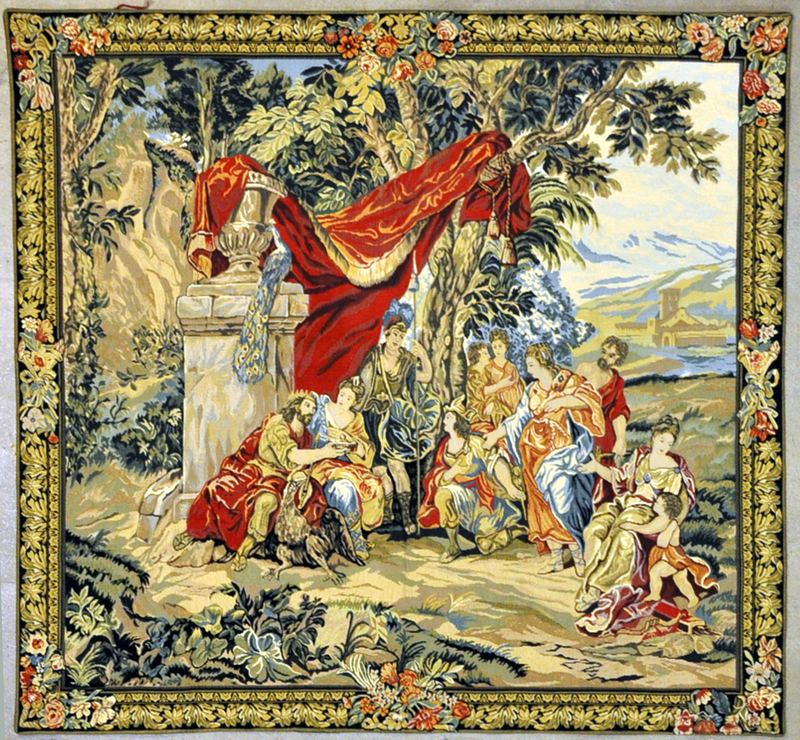 Tapestries have many uses for your home, they can be used as wall hangings, floor coverings, and chest draperies. 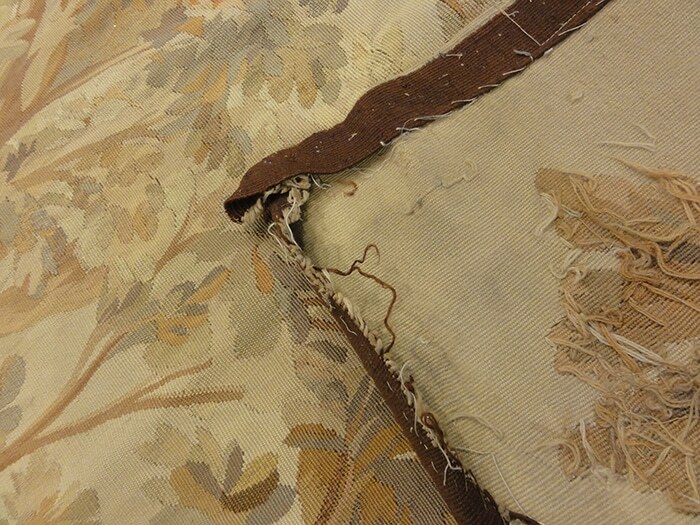 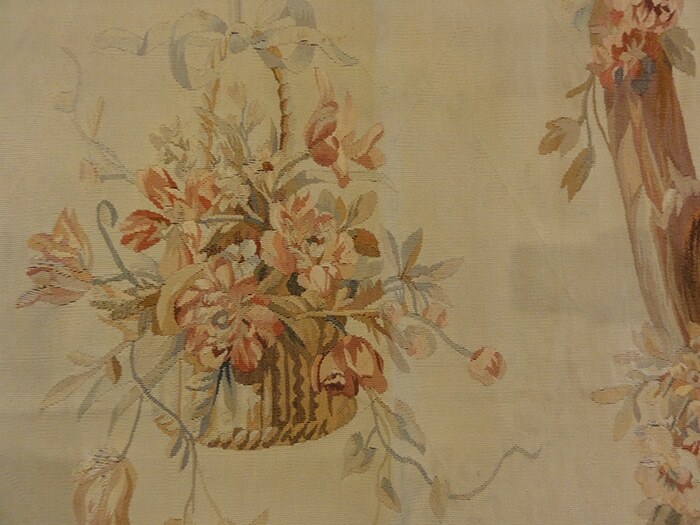 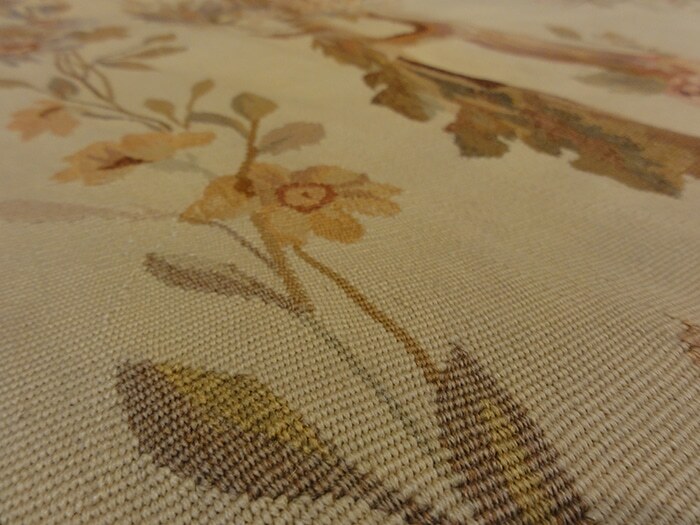 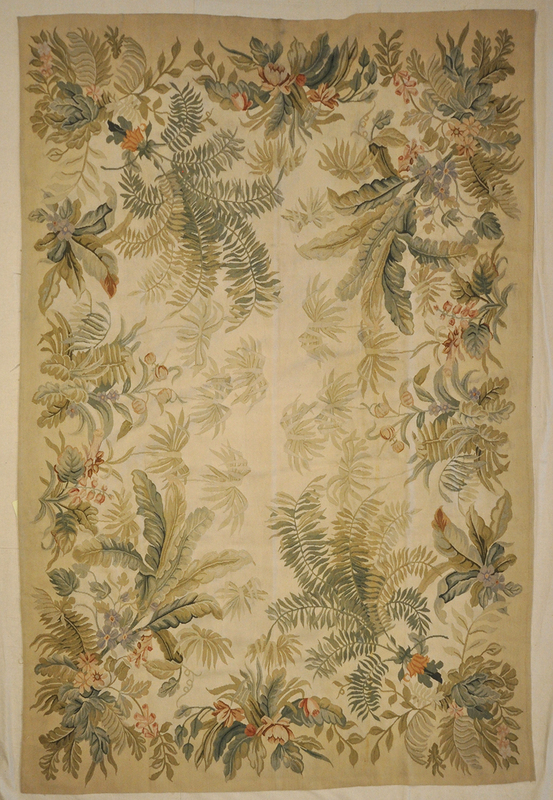 This antique tapestry is a part of two pieces meant to hang in either side of an entryway. 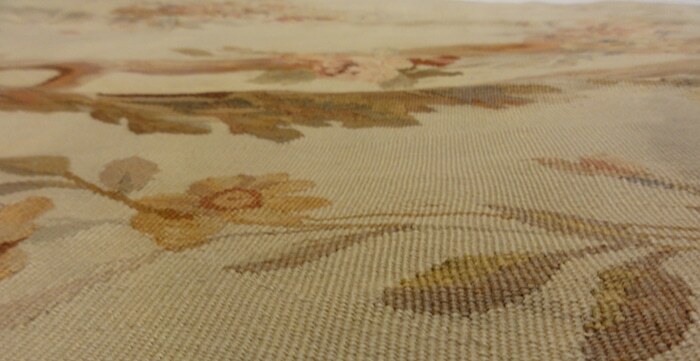 This tranquil scene is a wonderful way to brighten up your home with a piece of history. 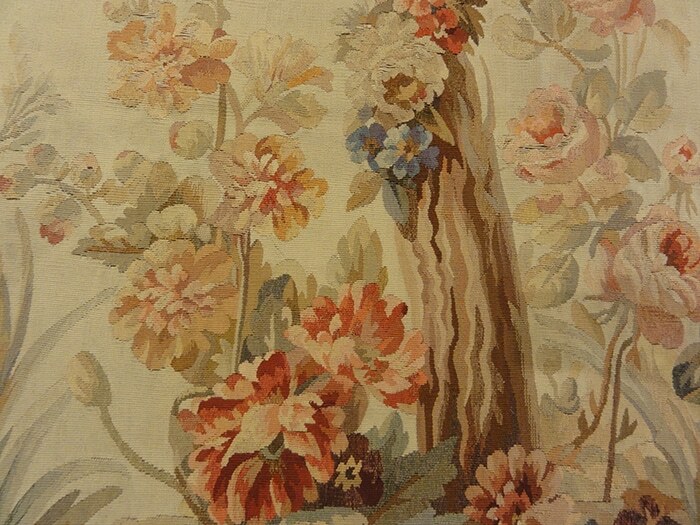 This Royal tapestry is of utmost beauty and full of life. 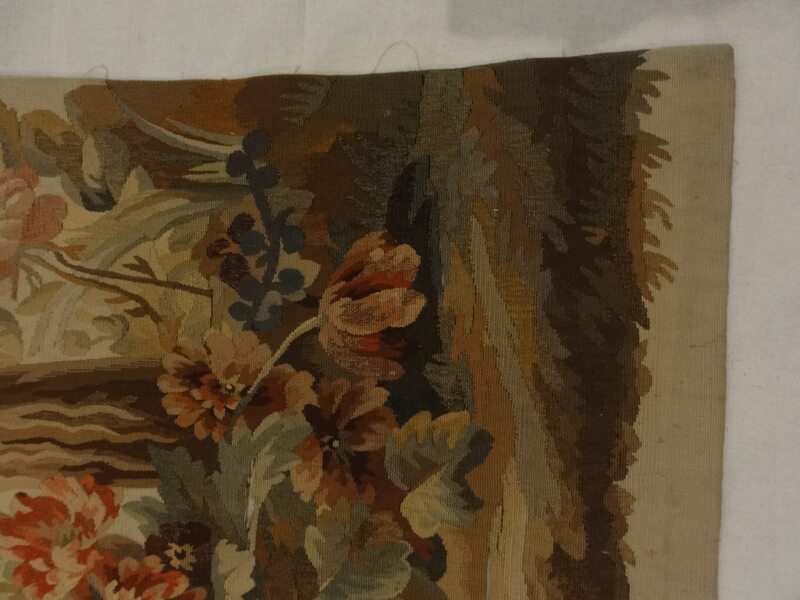 As most of the European Tapestries used to be draped on the walls of castles for their shear importance and heritage, this one is also full of fine intricate details, which point to a master weaver with crafty hands and artistic imagination.